Socialism is a decivilising, inhumane, and cruel economic system. I will briefly explain why, with the use of some examples. Earlier this year, 3,000 chickens being farmed in an initiative of the Department of Agriculture of Mpumalanga started eating each other, when those overseeing the project could not afford, and didn’t care, to feed the birds. These birds had to be euthanased. a criminal charge was laid at the Amsterdam police station by the Highveld Animal Protection Society against Mpumalanga’s MEC for agriculture, Candith Mashego-Dlamini, and her department head, Nelisiwe Sithole. 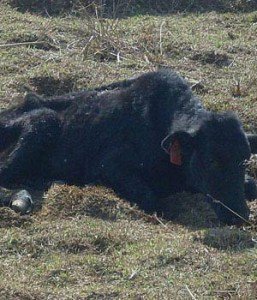 This was after 48 pregnant Drakensberger stud cattle starved to death at Athole, a government-owned, experimental farm near the town, Beeld reported. SPCA inspector Anton de Bruyn laid a charge against MEC Dipuo Letsatsi-Duba at the Letsitele police station on Thursday, Beeld reported on Friday. He said the emaciated Nguni cattle were found dying of hunger and thirst at the Muti Wa Vatsonga open air museum in the Hans Merensky Nature Reserve. “The animals were so weak that they couldn’t get up. We had to put them down then and there,” De Bruyn said. A private owner of these chickens or cattle would have been forced to maintain the value of these animals, by keeping them alive and healthy. If they were unable to, their owners would have been forced to sell them to someone who is capable of keeping them alive and healthy, owing to the profit motive. The profit motive would therefore have kept these animals alive and healthy, and prevented this cruelty, and eventually even have seen these animals feed humans. Yet socialists deride the profit motive as if it is evil and a failure of the market economy. As these examples show, not to mention the extinction of the black Rhino, when you remove the profit motive and resources are publicly owned, things turn messy. Furthermore, the chaos in government owned enterprises does not end with live animal projects, but is common to all business projects owned and run by government. The value of government owned Telkom is being run into the ground, as the share price has collapsed to levels in line with 2003, while the value of privately owned MTN has gone up over 1,000% since then. Eskom, the government owned electricity producer and distributor, advertises daily on prime time television, pleading with its clients to use less of their product but even then, we have blackouts and power failures in the country. The public education system is a complete disaster, brought under the spotlight recently by the failure of government to deliver textbooks to Limpopo schools for eight months (and counting) in 2012. If Telkom, Eskom, and public education were chickens or cattle, they would have been euthanased by now. The socialists will argue that all we need to solve this is better managers in charge of government. But this is a fallacy. 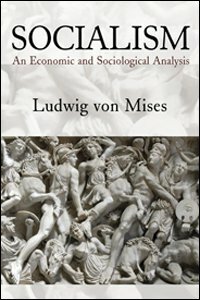 The truth is that, as Ludwig von Mises explained, the flaw of socialism is deeper than that. The problem with socialism is that when everyone in the economy owns all the resources and the means of production in equal shares, these items will never be traded on the market economy, and will therefore not have explicit market prices. When you do not have market prices, there are no indications of relative scarcity of resources, and there is no way for individuals to coordinate their action, i.e. to economise their business activities. There cannot be a profit motive in a socialist economy. Therefore a socialist economy is one of chaos, starvation, and cruelty. Socialism is decivilising. When you do not have economisation of individual action, you get wastage and mismanagement of resources, which is what the above examples highlight. Yet, in the above example, there are still market prices of these resources, but even still, government could not prevent disaster. What we need in South Africa is true freedom. In 1994 South Africa did not turn to true freedom to solve its problems. South Africa only got political freedom in 1994. South Africa now needs economic freedom, to prevent the government from ever owning a large part of the economy, and especially things like the food supply, as it would risk the starvation of millions of humans. Chris Becker is economist and market strategist at ETM Analytics. Visit his blog, and follow him on twitter @chrislbecker.